While everyone knows about the Maharashtian Puranpoli, few know about the Parsi Dar Ni Pori. The similarity between these dishes however ends at the use of lentils. Had mainly as a tea-time snack, it is also the meal of choice to be devoured and distributed on the holy day of Ava Mahina ni Purab or the day we Parsis pray to the angel of water i.e. Ava Yesht. 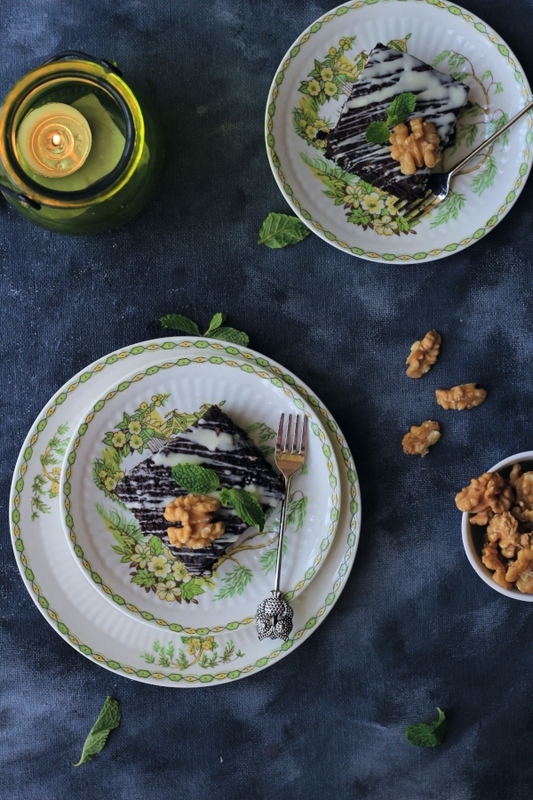 Besides this very special day, this delightful pastry was also traditionally sent in numbers of five or seven from the brides home to the grooms as a symbol forming new sweet bonds between the two families. 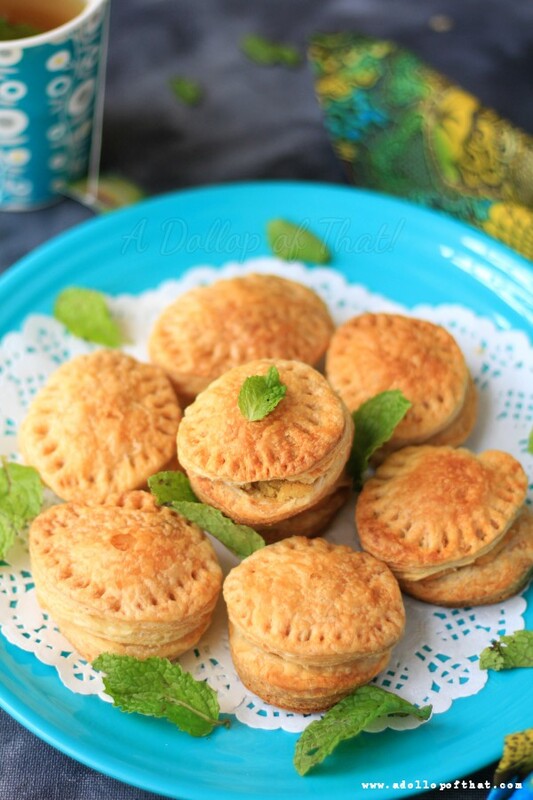 Stuffed with toor dar or pigeon pea lentils which are soaked overnight, then pressure cooked, mashed and added with nuts and flavourings, the making of a Dar ni Pori is a labour of love, because after making the filling comes the tough part, making the pastry. 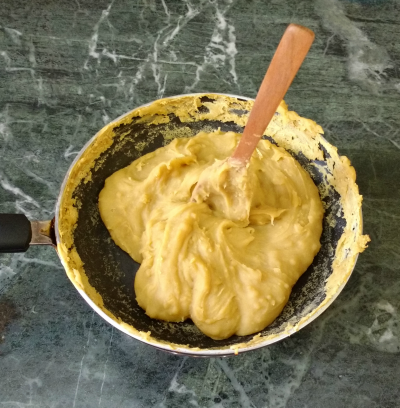 This is painstaking made by mixing together refined flour, whole wheat flour, shortening and water which are then formed into a soft dough, this is then covered with a damp cloth and allowed to rest for anywhere between three to eight hours, following which is made the Maan (made by combining ghee and ice cold water till this paste can float atop some ice cold water) or the glue that will hold together three layers of the dough which are thinly rolled out, then layered atop one another with a layer of the Maan between each layer, this is followed by rolling the three flat discs into a log, which is then rolled up into a spiral, which is again rolled out filled with the prepared filling, rolled out again and finally roasted gently on a low flame over a griddle. 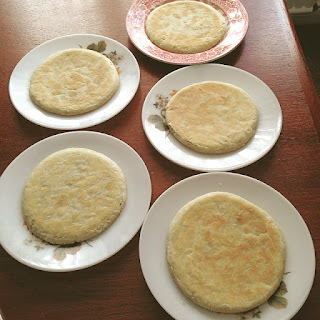 Everyone at home loves these Dar ni Pori's and making them have been on my to do list for sometime now, but with an easier alternative to the pastry of course. 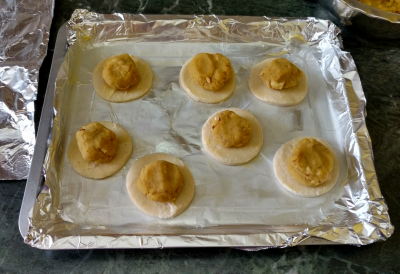 So after much ado (mostly over not knowing where to source ready made puff pastry sheets here in India), I finally present to you a quick and easy but just as delicious version of our favourite tea time snack! The first step in making the Dar ni Pori is making the filling of the dar. To do this, soak the dal overnight. In the morning, cook the dal in the pressure cooker for 2 whistles and 10 minutes on slow. Make sure you don’t add too much water, it must just about cover the top of the dal. 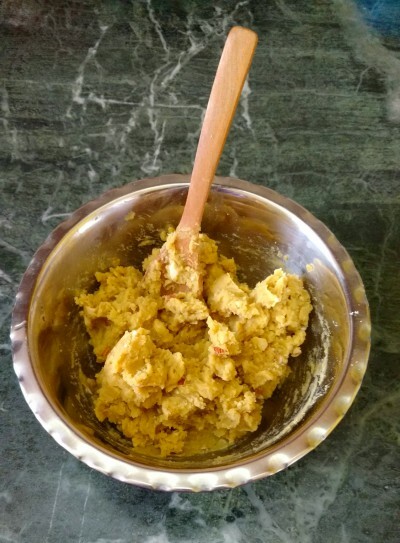 Once the dal is cooked, take it off the heat and add the sugar and ghee. Using a hand blender, mix everything well. Now, add the almonds, charoli, mixed dried fruit, essence, elaichi and jaifal powder. Cook the mixture on very low heat stirring continuously until thick and well mixed. If you have some filling left over, you can easily freeze it for upto a month and use again when required. 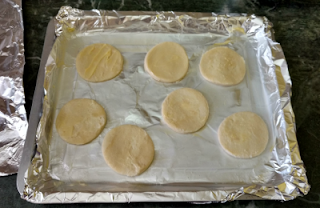 To make the pastry, simply thaw and roll out the puff pastry sheets to 1/4 of and inch and cut off rounds using a cookie cutter. Next line a baking sheet with aluminium or baking sheet and apply a light layer of oil or butter. 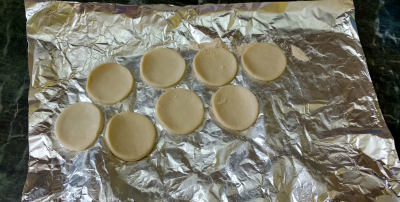 Now make small balls out of the filling and put a ball on each pastry round. 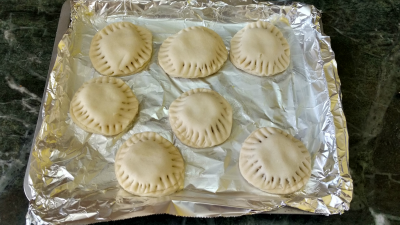 Next cover the filling balls with another piece of cut out pastry and using a fork seal the edges and fuse together the upper and lower pastries thereby sealing in the filling. Bake in a pre heated oven at 180 degrees C for 25 to 30 mins or until the pastry derives a beautiful golden colour. Serve hot with your evening cuppa. In Mumbai Puff Pastry sheets are sold by Paris Bakery at Marine Lines. Amazing... It being so simplified... Would love to try making it... Thanks a lot! Thank you, have fun and enjoy! !